If you're more than a casual fan of filmmaking, then you're probably familiar with the name Saul Bass for his work on opening credits sequences and posters for iconic films of the past from directors like Alfred Hitchcock, Stanley Kubrick and more. 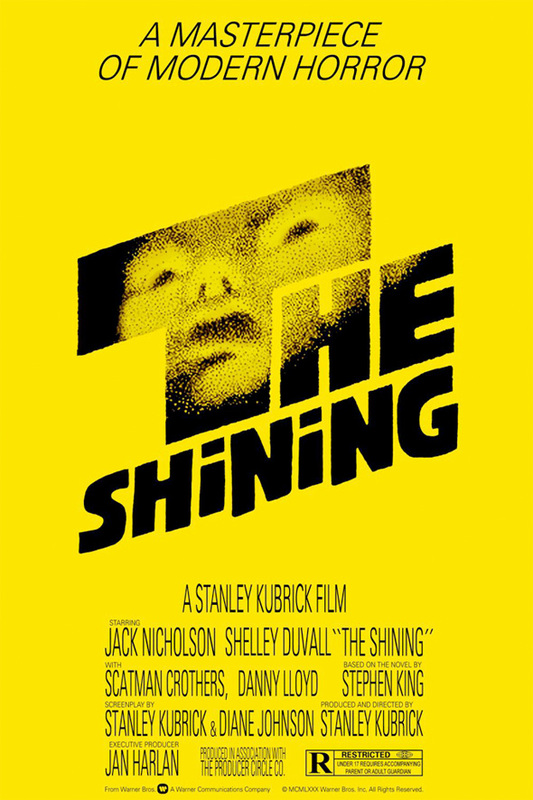 Now we get a little insight into the creative process of figuring out how Saul Bass worked with filmmakers to craft just the right poster to get audiences interested in the film by way of some rejects designs for Kubrick's classic horror film The Shining. Some alternate designs have surfaced, complete with Kubrick's notes on what he didn't like about these pieces, and it's pretty fascinating. Thanks to Open Culture (via The Playlist) for getting these online. 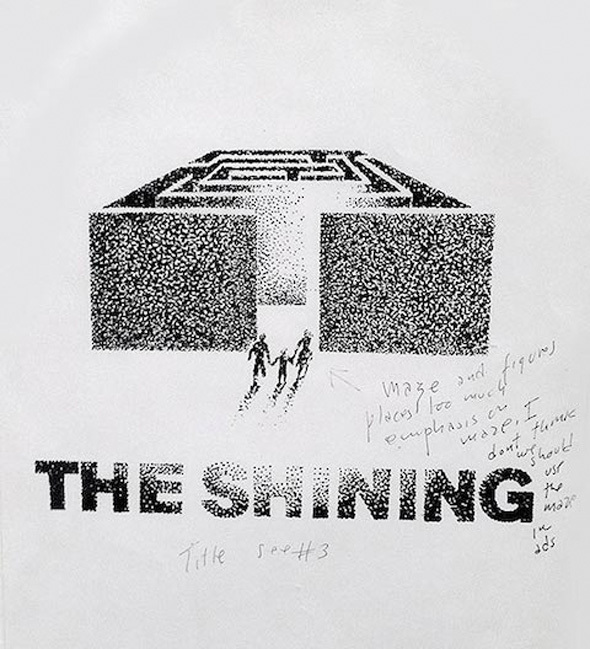 The notes are the most interesting part of these designs, showing that Kubrick was very well aware of how he wanted his audience to perceive the film. It's also intriguing to see how Bass attempted to perceive and promote the film with some vague but provoking imagery. 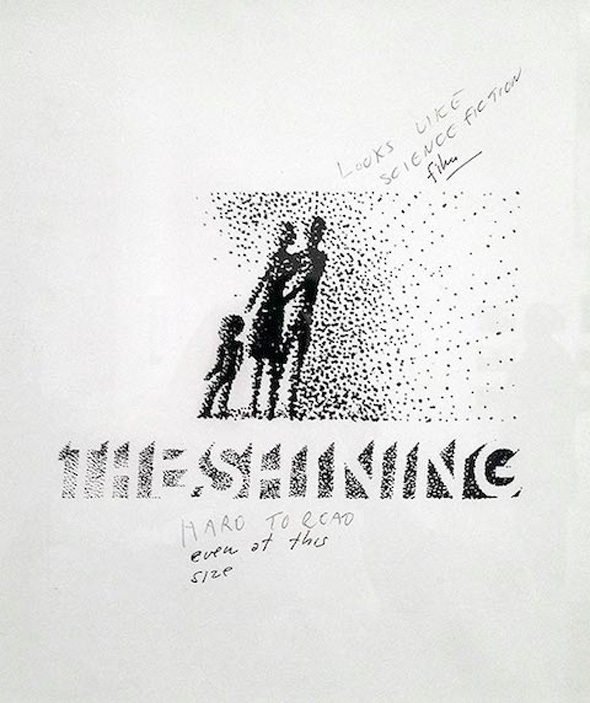 Knowing what we do about The Shining, all of Kubrick's notes are spot-on in how audiences would likely receive a poster like this, thinking they were heading to the theater for a different kind of movie. 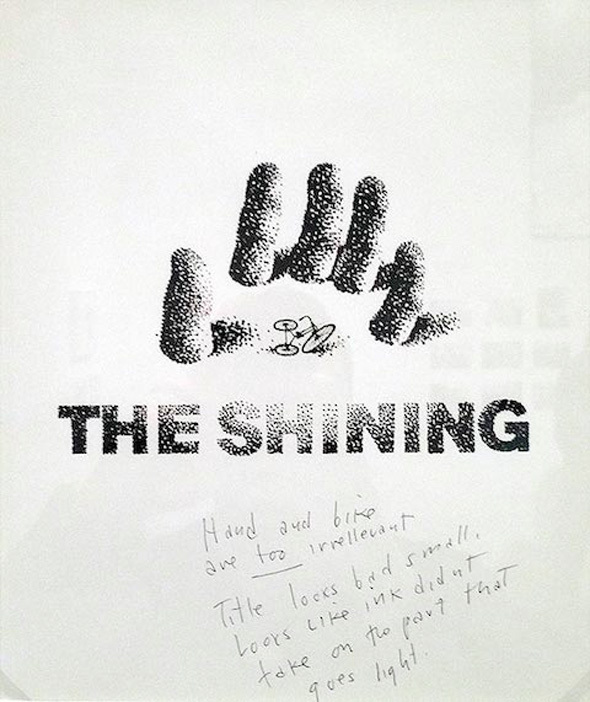 But in retrospect, these would be cool prints for any fan of The Shining to put on a wall. that movie scared poop out of me.. I like the idea of dots in the title, resembling snow flakes (which you still kind of get in the yellow one). If Bass could've made the title more visible I would've loved to see that in a final poster. But the yellow poster is plenty awesome and creepy on its own. Yellow One reminds me of another film. Perhaps a Dracula related one? Agree with Kubrick about the bike, but I kind of like both the maze and the hand one for hinting about the end. He's totally right about the second one, though. Definitely resembles a sci-fi film rather than The Shining.